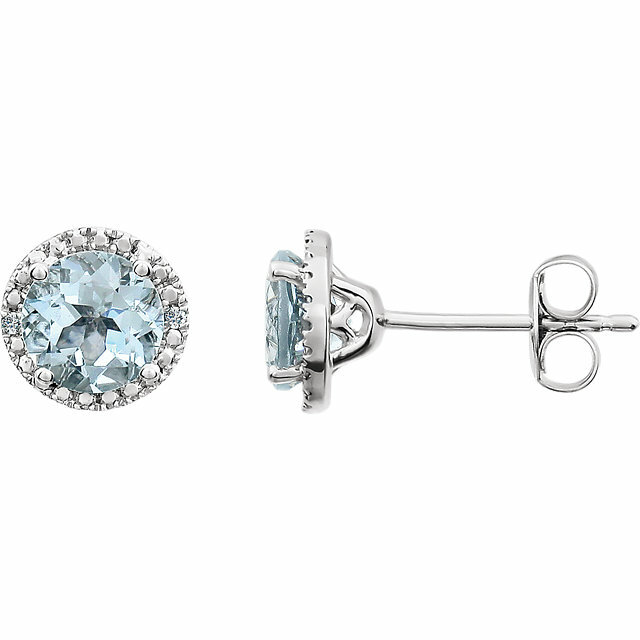 The blue of Aquamarine is a unique shade of its own�it combines the soothing tones of powder blue and sky blue with an added frosty shimmer and refreshing coolness. 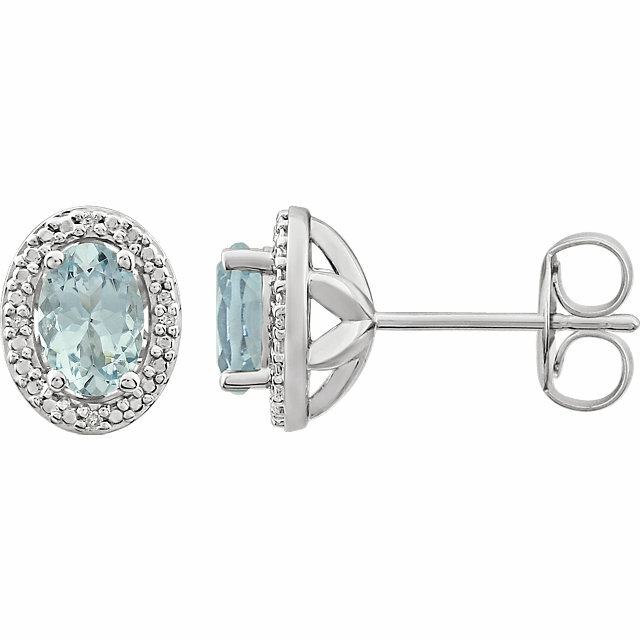 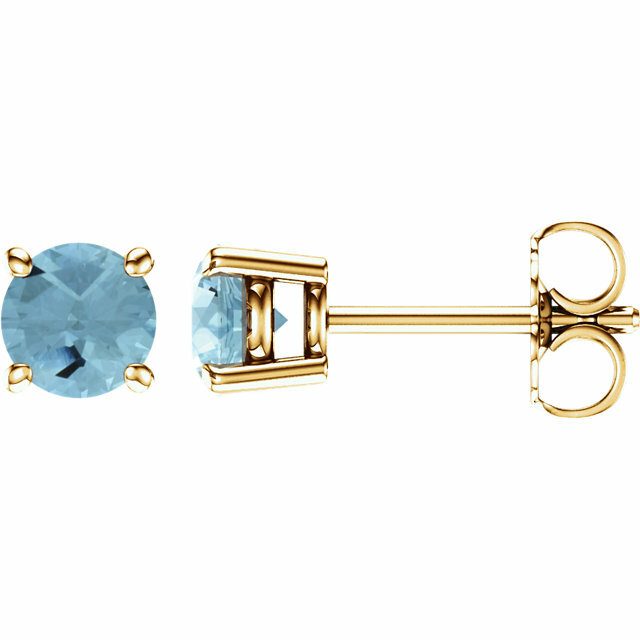 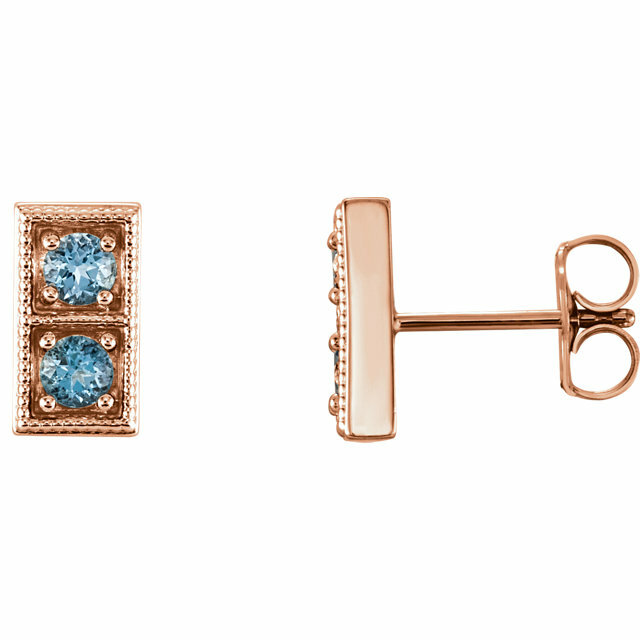 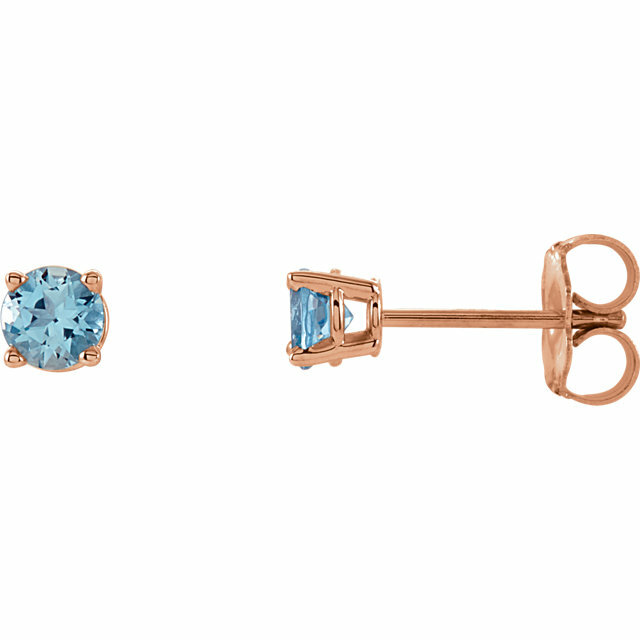 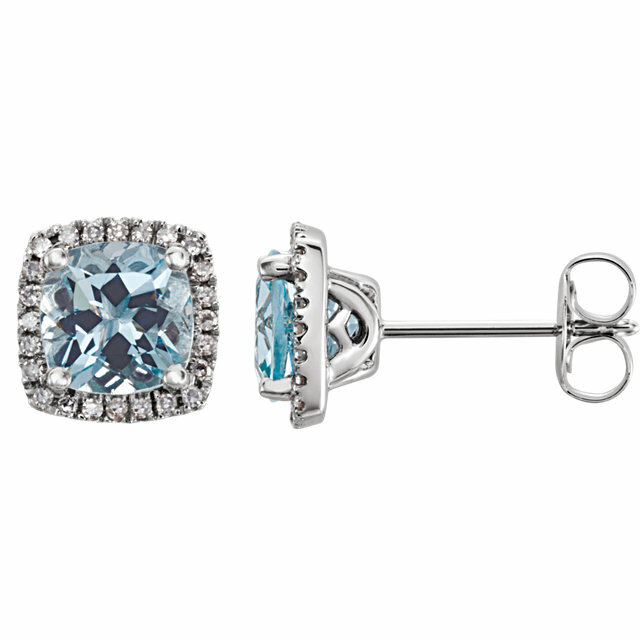 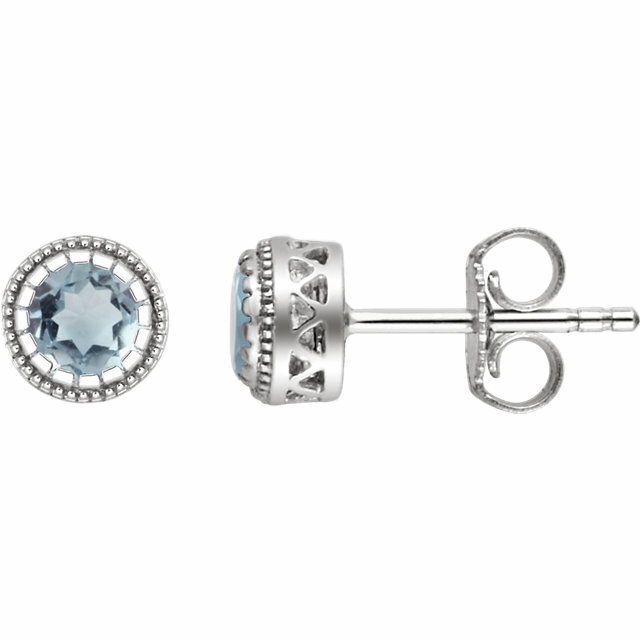 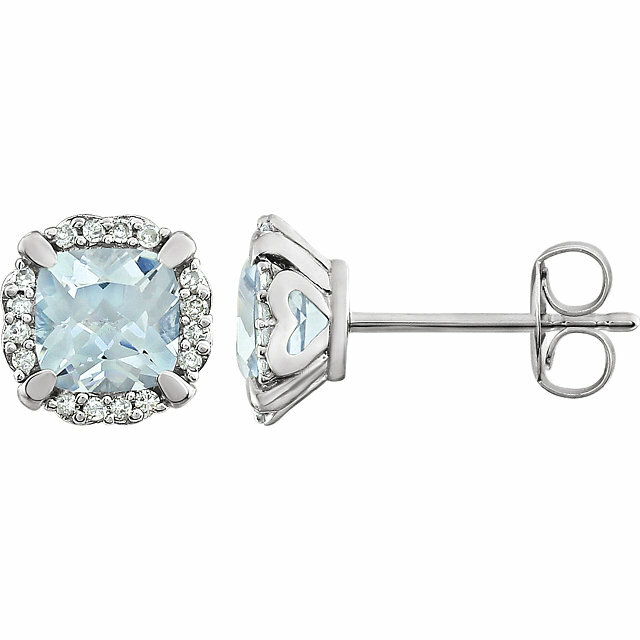 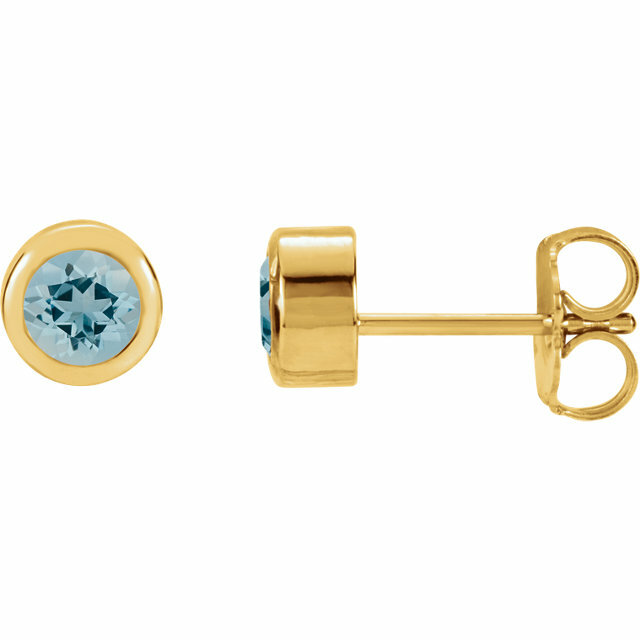 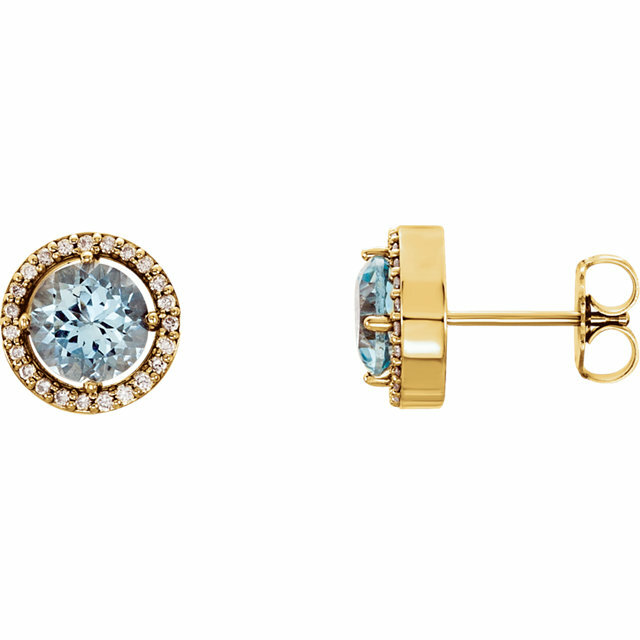 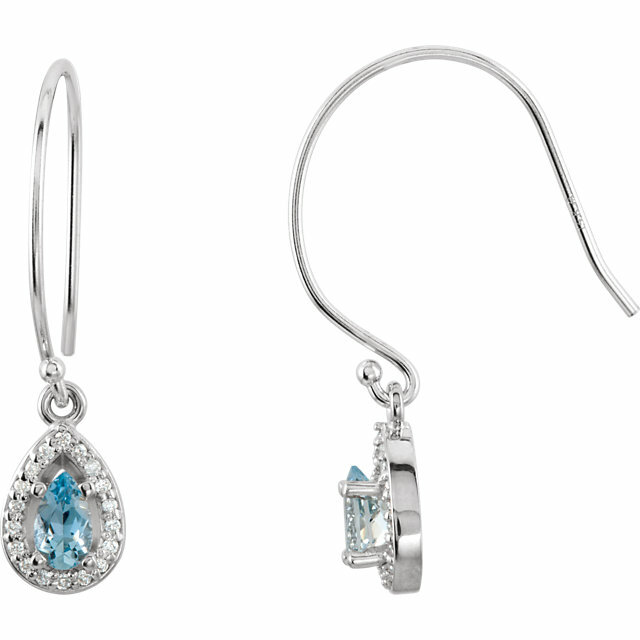 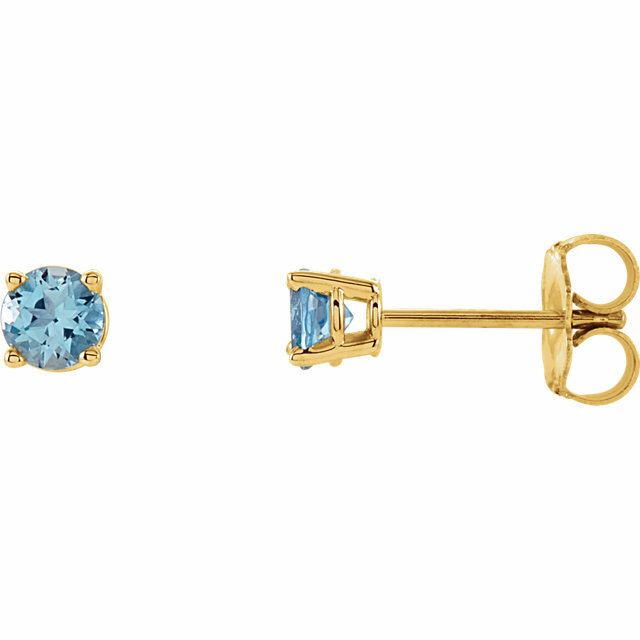 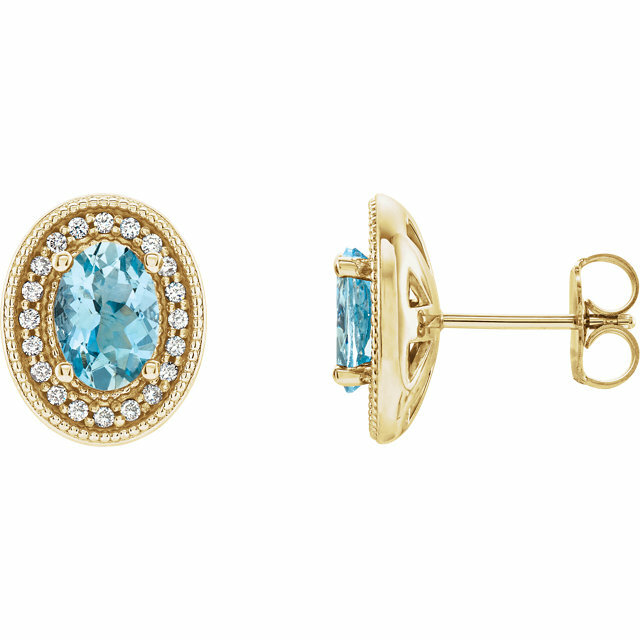 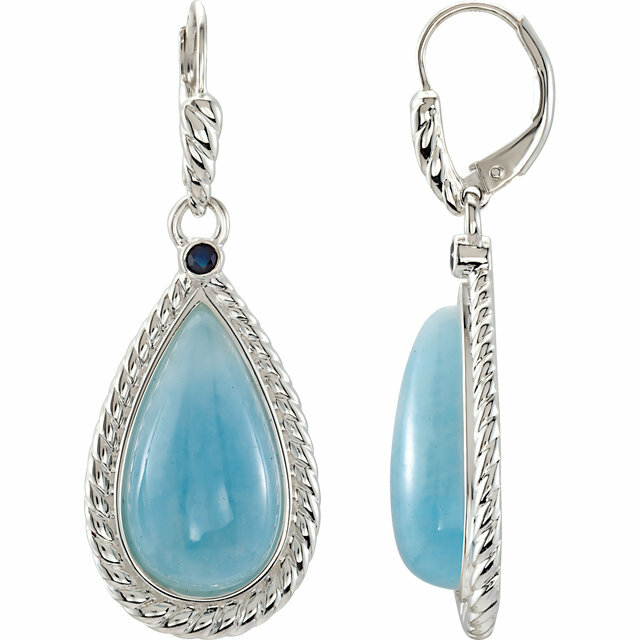 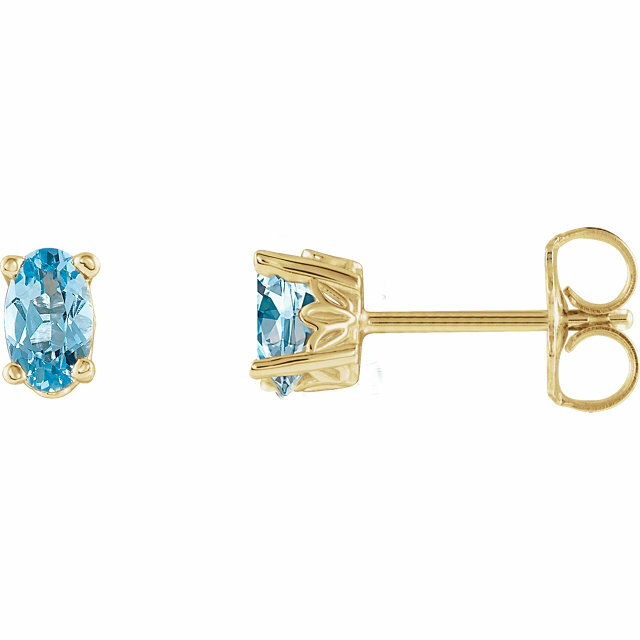 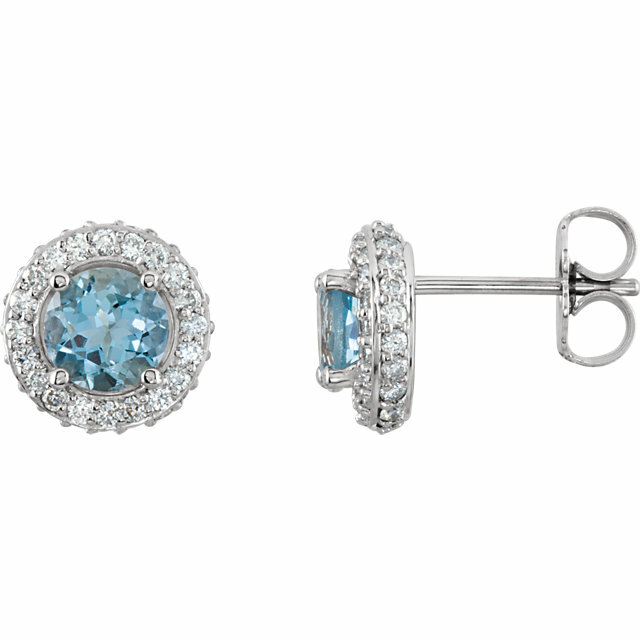 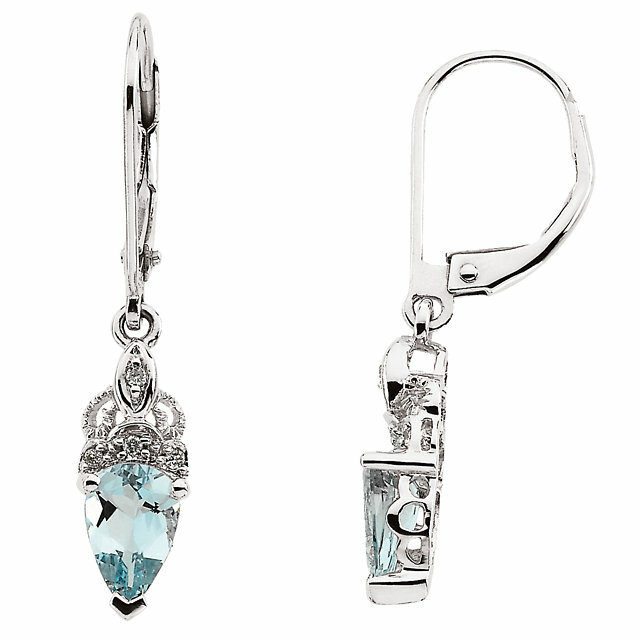 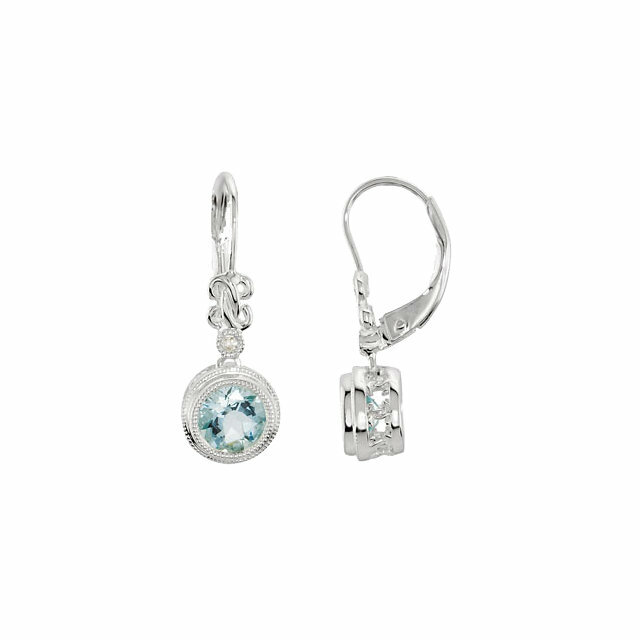 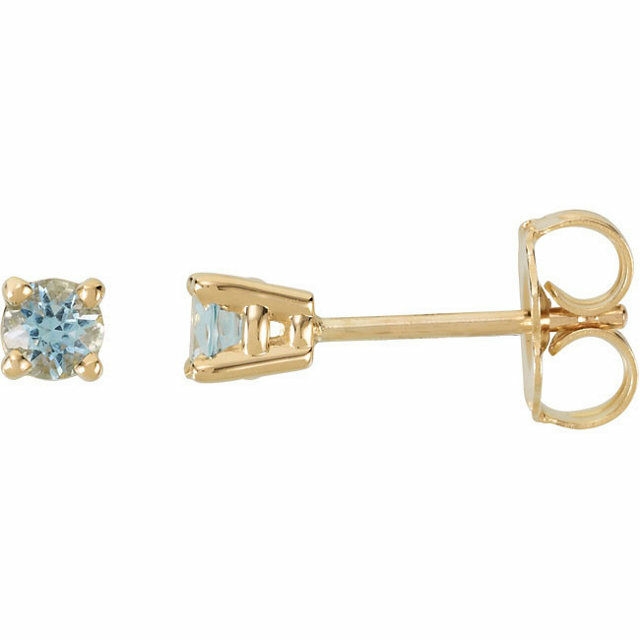 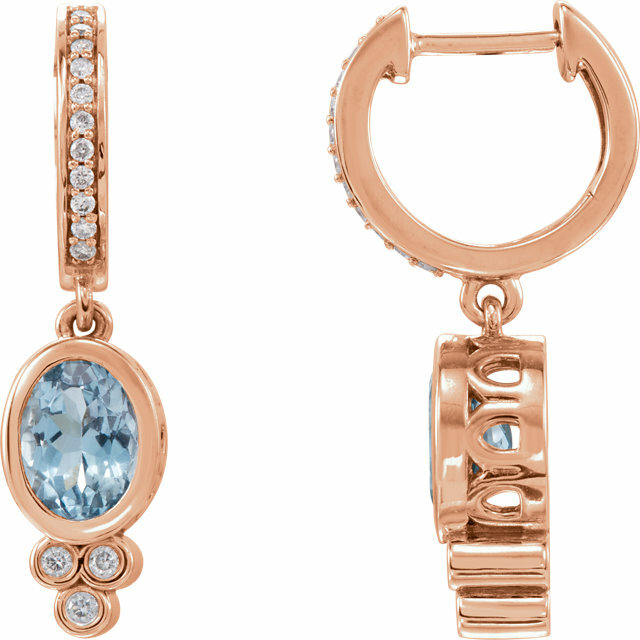 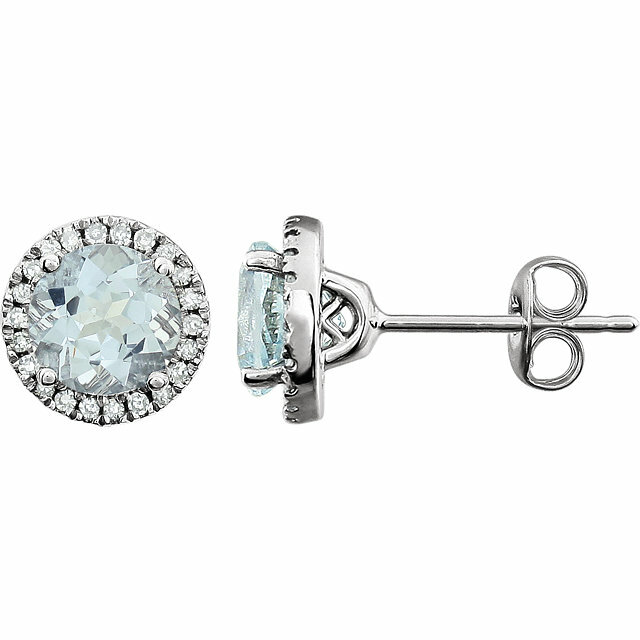 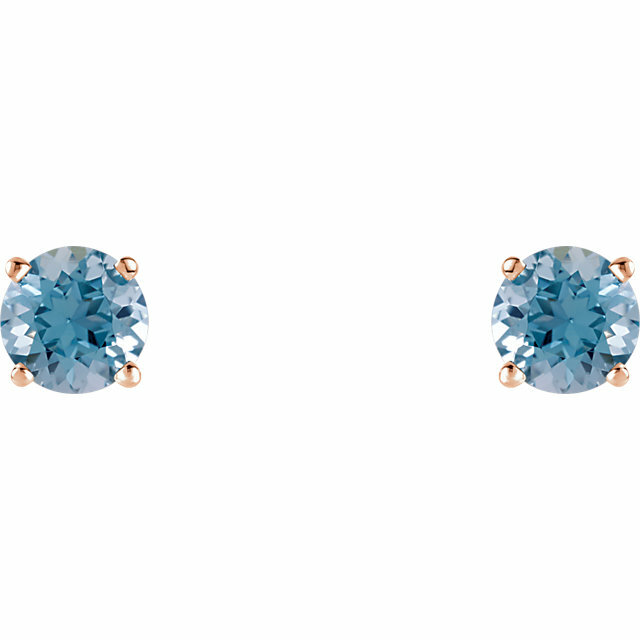 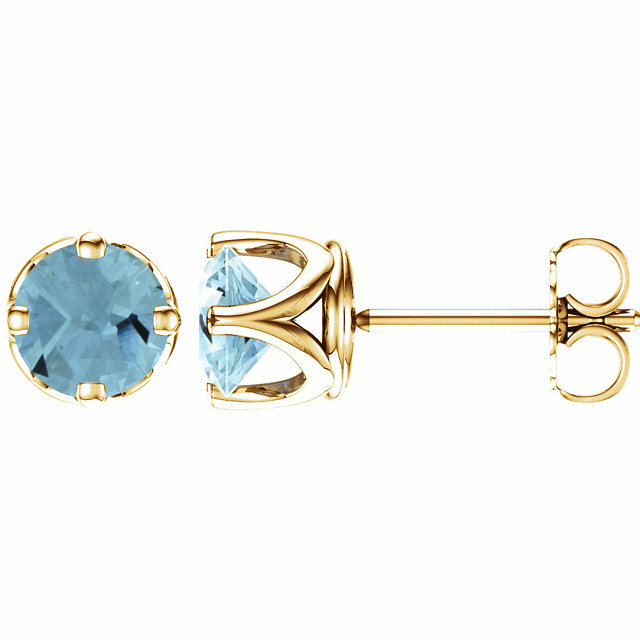 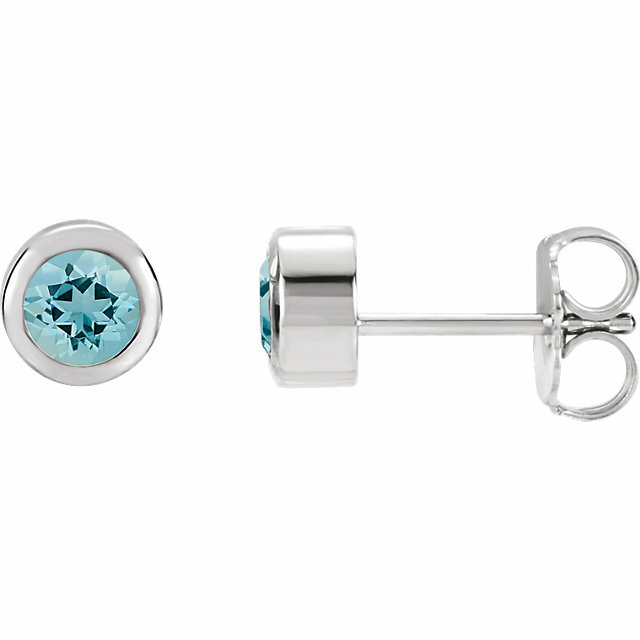 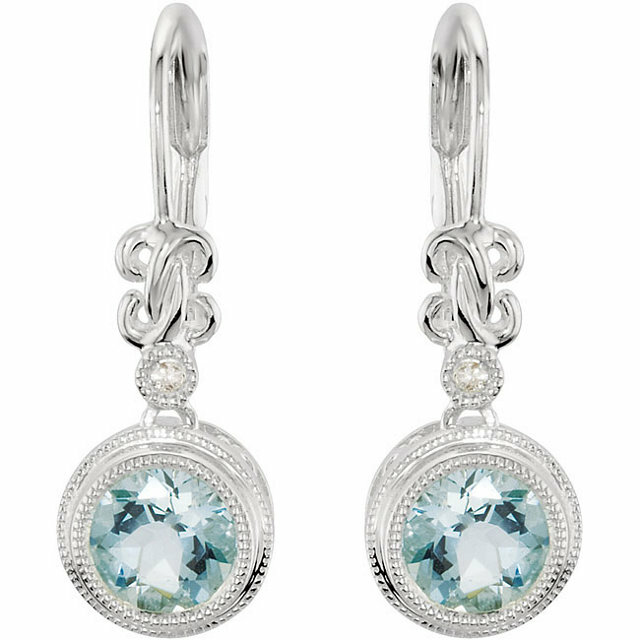 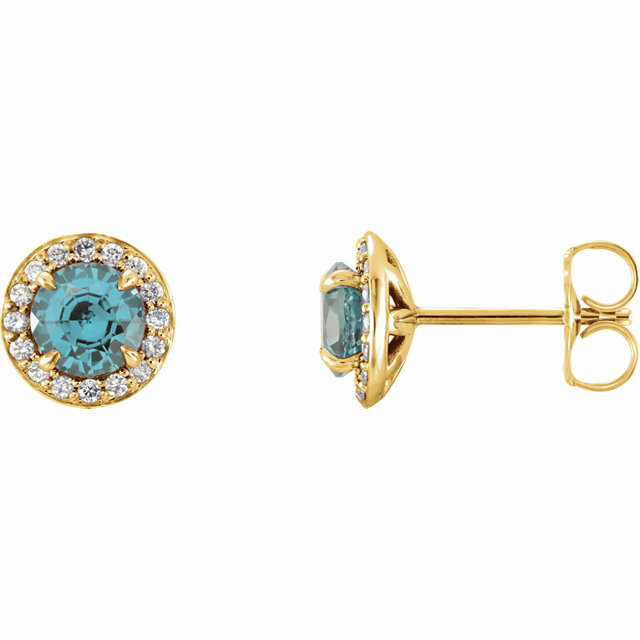 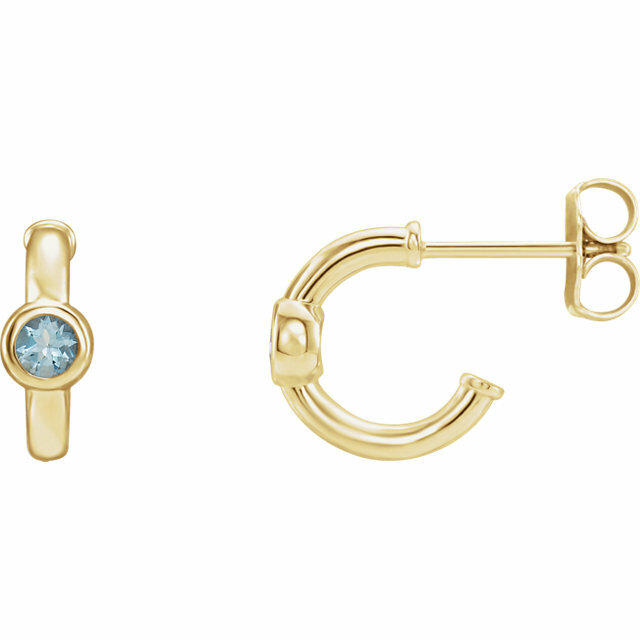 Aquamarine gemstone earrings are a perfect choice for any look. 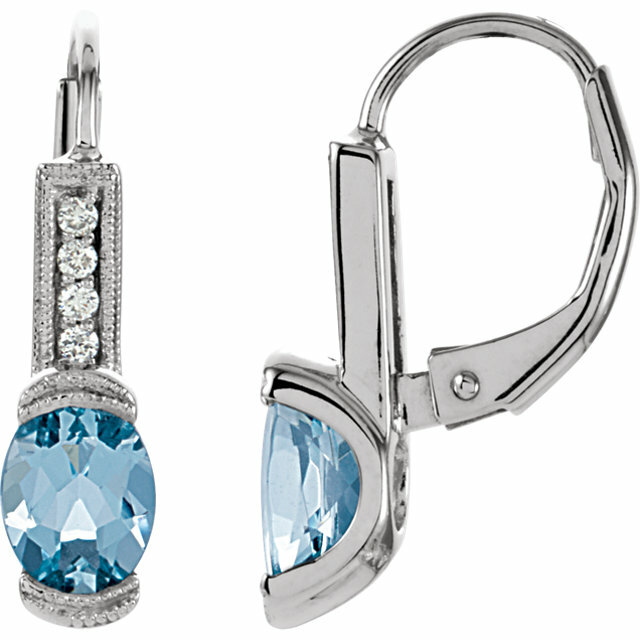 The demure blue color is a great way to add color and elegance without being too dramatic and loud. A classic setting with white gold and diamonds takes the Aquamarine to the next level of elegance, glamour and sophistication. 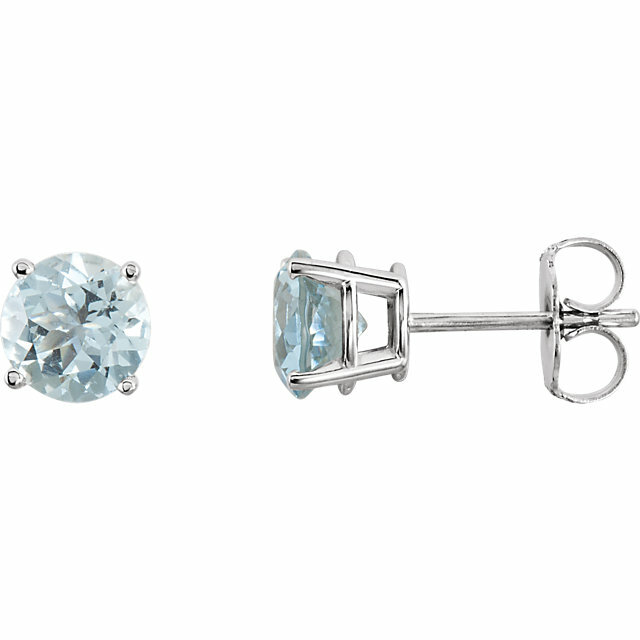 And since blue is a color that compliments most other hues, these Aquamarine earrings can become your everyday, go-to pair. Your anniversary is rapidly approaching and you have no idea what to get her. 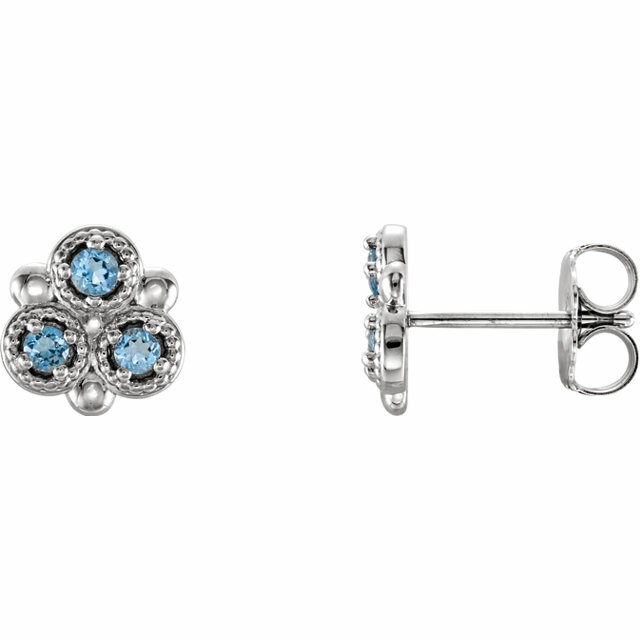 Her birthday is right around the corner and you made the mistake last year of getting her a pretty lame gift and you need to redeem yourself. Or maybe you�re just thinking of the special person in your life and you want to surprise her with a gift out of the blue. 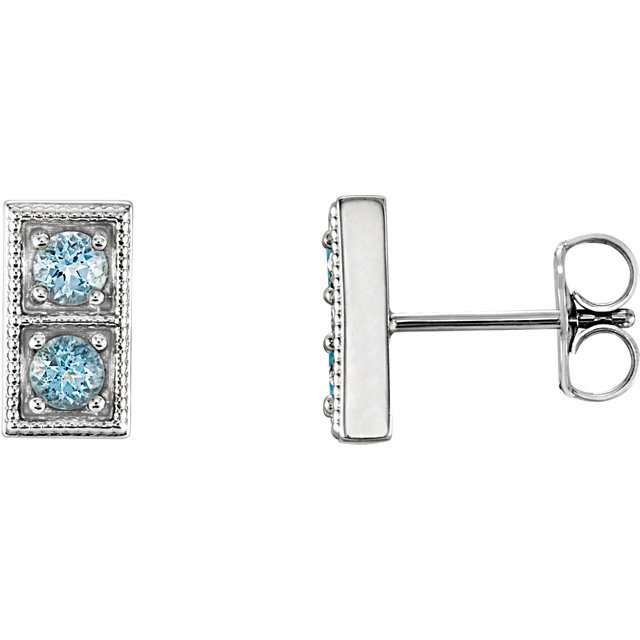 Don�t rack your brains trying to decide what to get her, stick to the basics. 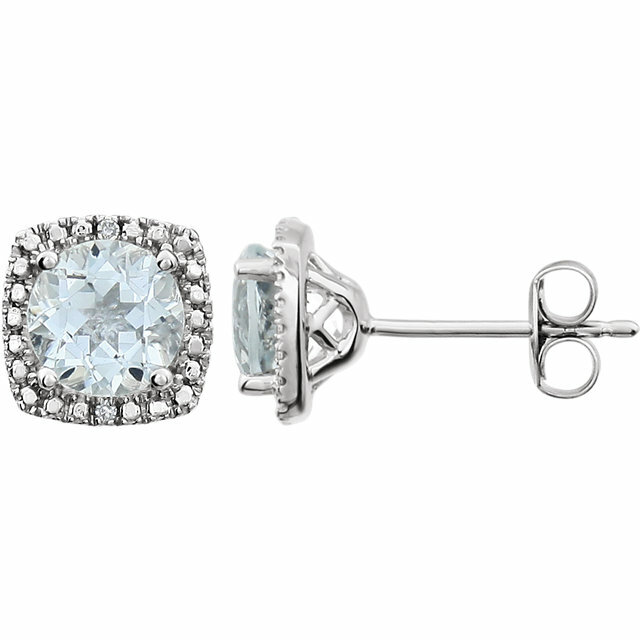 All women want jewelry! 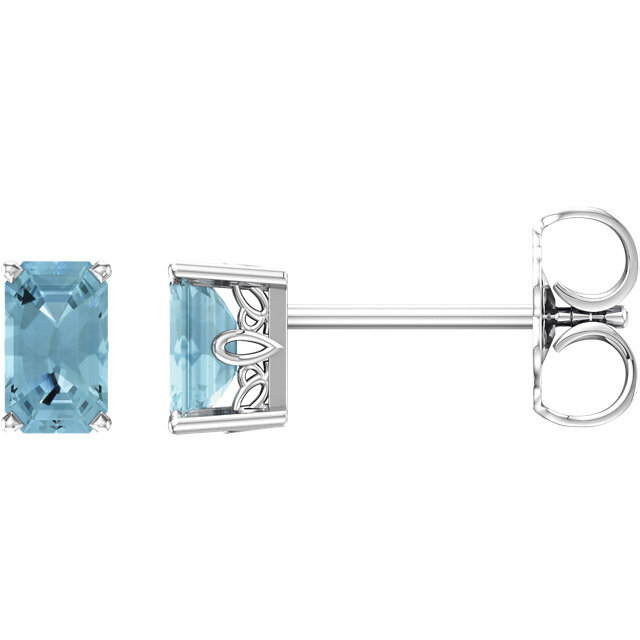 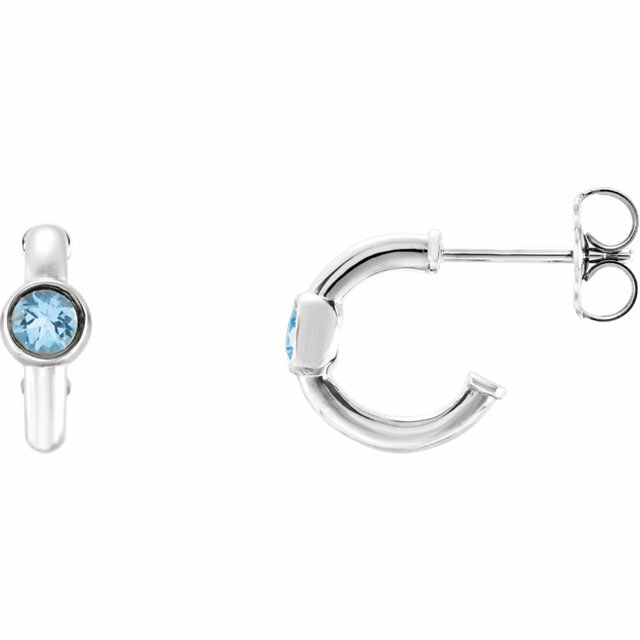 There is no more sure-fire way to get her a gift that she�ll love than to buy her Aquamarine gemstone jewelry set in white gold with diamond accents. Every stunning pair of Aquamarine earrings that you see before you can be paired with an equally beautiful matching Aquamarine pendant and some earrings even have matching ring options. 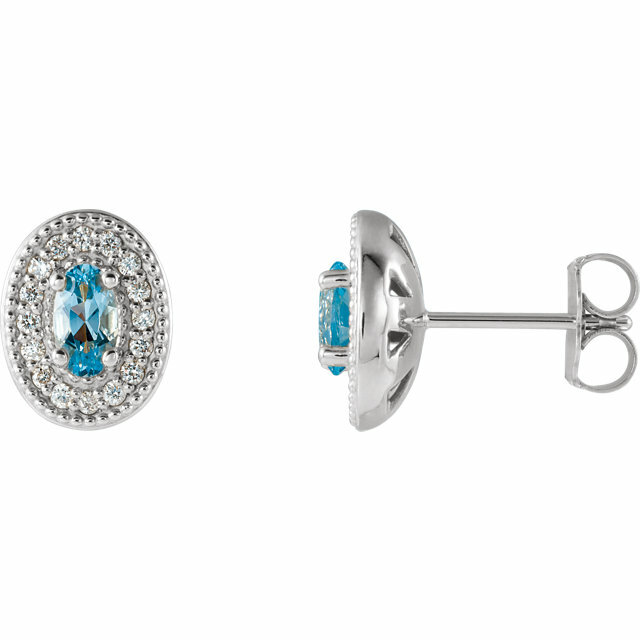 Take the guess work out of trying to match your jewelry and just buy a matching set�this way you can be matching and put-together without the effort. 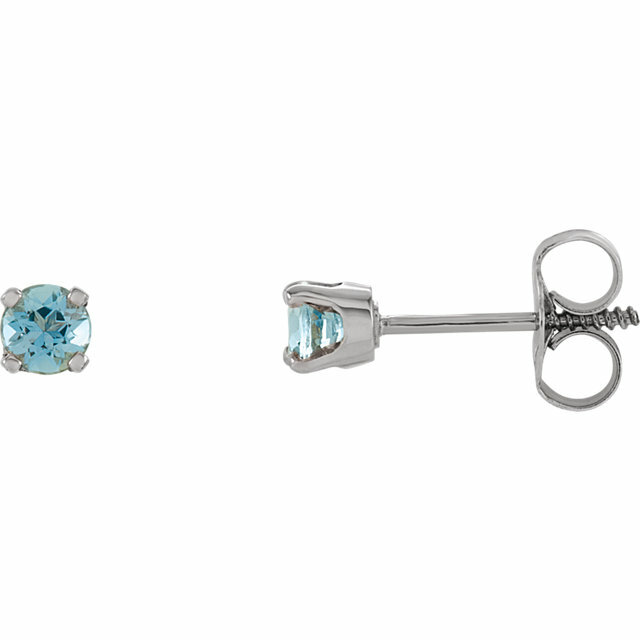 All earrings include free, same-day shipping.